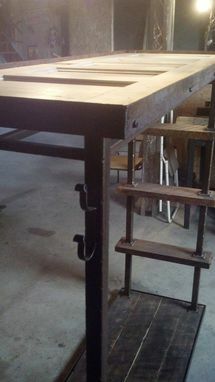 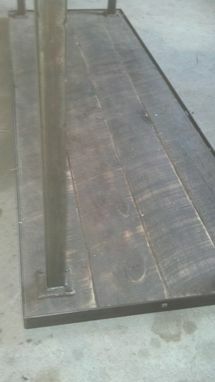 Store fixture for Circa in Geneva- Geneva, IL Made of mild steel, rough sawn wood, and an old door. 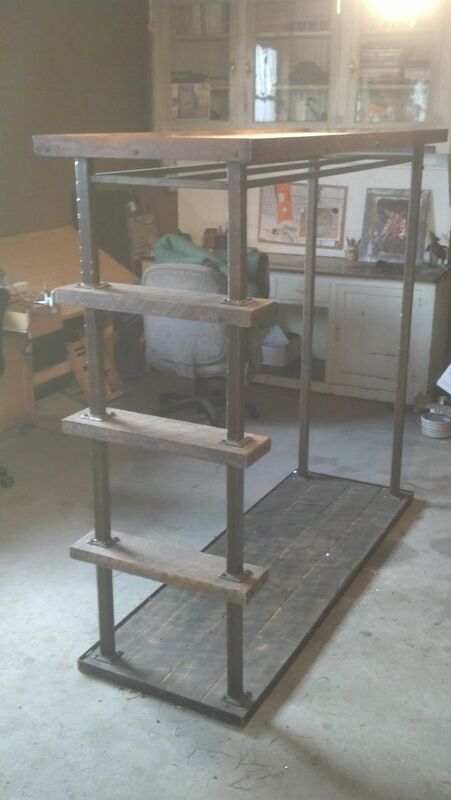 Finished with a rusty brown patina and clear coated. 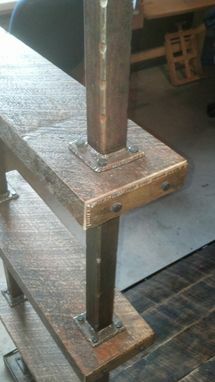 Casters were added after delivery.